I’ll admit it, I am some sort of weird geek that gets his kicks out of reading corporate financial filings at the Securities and Exchange Commission website. Occasionally a few disconnected events converge to make what at first blush is an unrelated post. In this case I won’t connect the disconnected events but I will give a hat tip to Editilla who linked a poorly written story in the Des Moines Iowa paper last fall regarding United Fire and Casualty Company and their continuing problem of mounting and massive losses related to Hurricane Katrina. I never composed a post on the article because it presented an uncritical parroting of a United Fire Press Release and as such was essentially free advertising. Rest assured we’ll be peeking under the hood with a bit more detail and clarity than the Gannett reporter as we again expose management misrepresentations made to investors. Simply put this company appears to be in financial trouble and is grasping both for straws and convenient scapegoats, in this case slabbing the integrity of the entire Louisiana state court system. 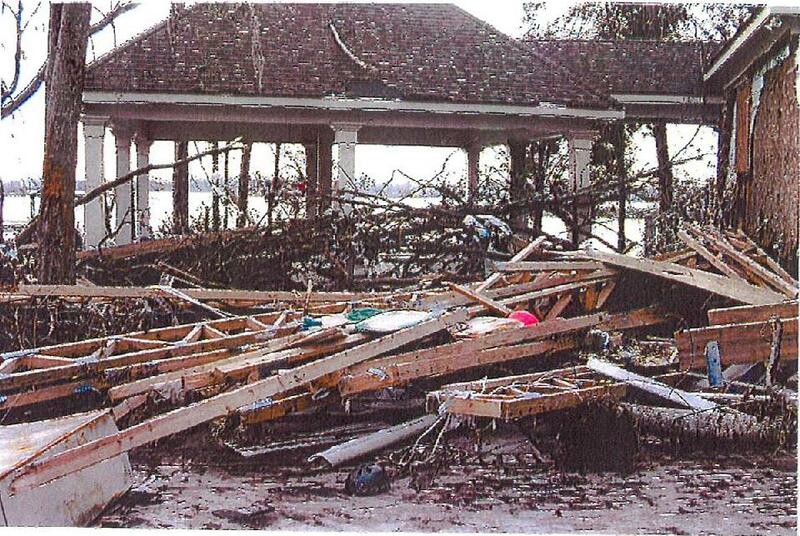 Conducting business under our subsidiary company, Lafayette Insurance Company, in the state of Louisiana has put us at a considerable disadvantage in regard to our Hurricane Katrina claims litigation. Because Lafayette Insurance Company is domiciled in Louisiana, we are subject to the jurisdiction of the state court system, with limited access to the federal court system. Hurricane Katrina was, and remains, the single largest catastrophe loss in our company’s history. Four years later, we continue to feel the impact of Hurricane Katrina as litigation surrounding the event progresses through the legal system. The first woman chief justice of the Louisiana Supreme Court suffered a stroke on Sunday and was in intensive care. When lawmakers ponder the woes of the federal flood insurance program, they tend to dwell on the billions of dollars in red ink spilled since 2005, when Hurricane Katrina left a backwash of huge losses. Less attention has been given to the program’s dependence on private insurance companies and agents to do most of the actual work of selling policies and adjusting claims. As the Press-Register has reported, those companies — which include industry heavyweights such as State Farm and Nationwide — and agents were paid more than $750 million for their services in fiscal 2008, almost a quarter of total premium payments. This amounts to a sweetheart deal, according to some critics. Their position was boosted last fall by a congressional finding that a half-dozen insurers had received more than $300 million in flood-insurance program overpayments during three years. In one case, a company earned a marketing bonus despite having done no marketing. For all the out of state readers wondering about Jefferson Parish. Shades of Rossie? James Gill of the Times Picayune has all the skinny plus takes a few jabs at so called legal experts. Does this remind anyone else of insurance defense attorney David Rossmiller, who let State Farm ghost write his blog with the accompanying savage attacks on the whistleblowers Cori and Kerri Rigsby. Dave and those who lapped up his line of BS evidently never bothered to find out how much water flooded the McIntosh residence but I’m sure the blood money was good, especially for a firm that has most likely never tried a wind-water case. I wonder if Mr. Barbieri ever heard back from Rossie on that apology to the Rigsby sisters? Author Posted on January 11, 2010 Categories SopTags Cori Rigsby, David Rossmiller, Dunn Carney Allen Higgins and Tongue, Folo Blog, Insurance Coverage Blog, Kerri Rigsby, Shills1 Comment on For all the out of state readers wondering about Jefferson Parish. Shades of Rossie? In response to the re-run of our archival post not to belabor the point, which originally ran on April 7, 2009 a reader sent in some observations referring us to documents we already linked which gives us the correct flood level at the McIntosh property. I actually did the research on the official flood levels for a companion post to the original (which never ran) so I am happy for the steer, especially since we had all the data. As seen in this figure, the elevation of the McIntosh property is approximately 14 feet. Menhennett (2007) conducted a survey at the McIntosh property and found that the adjacent ground elevation ranged between 12.5 ft and 15.4 ft, the top of the bottom floor of the residence was 16.5 ft and the slab of the connected garage was 14 ft. Figure 4 presents the FEMA-developed Advisory Base Flood Elevations and any High Water Marks (HWMs) in the general vicinity. Two HWMs are identified in Figure 4 and adjacent charts that are in reasonable close proximity to the McIntosh residence and their elevations as determined by survey and other characteristics are summarized in Table 2. Dean’s choice of watermarks is interesting as one of the official measurements was taken literally within feet of the McIntosh property which in my mind makes his second choice, from over a mile to the south irrelevant. Already having one data point, which is the elevation of the McIntosh house at the top of their slab, all it takes is a trip down Dr Dean report to the official watermark measurements to find the flood level on the ground at water mark reference KMSC-02-21 was 18.6 feet which means there was 2.1 feet of water on the outside of the McIntosh residence above their slab. That is important because it would include any wave action. I am told the proper forensic engineering technique is to take inside water mark measurements. You won’t see any such reference to that data point in Dr Dean’s report. With that point made here is the text of the original post as corrected. ….Pictures are truly worth 1000 words. For instance take these from our archives of the McIntosh residence which is one of the focal points in the False Claims Act lawsuit against State Farm. There was around 4 2 feet of water inside the residence when the storm surge peaked in the Biloxi Bay several hours after Hurricane force winds began blowing.